On Walking On Fire in Japan | This Japanese Life. Posted on June 1, 2011	by E.
The most difficult part of walking on burning coals during a typhoon was finding the right train. When we finally arrived in the spiritual town of Dazaifu after a 40-minute diversion to the soggy rice paddies of Dazenji, monks clad in checkered robes and animal pelts were chanting as smoke crept through the lush green branches of freshly cut firs. The air saturated with burning cedar, the priests removed the firs and the ceremony began. Walking on fire has more in common with weekends on National Public Radio than with extreme sports, unless maybe Miranda July was the host of Fear Factor. Putting flesh to fire in a Shinto ceremony isn’t intended to cause pain, it’s intended to release it. Would-be coal-walkers buy hand-crafted, foot-long pieces of wood from the shrine. They write their guilt, anxiety, fears, loneliness or any other distinctly human “etcetera” on the wood and return it to the priests. Piled up in boxes, the troubles are monuments to the sadness that everyone has come here to lose. It’s rare to see sadness sorted and quantified in stacks. It feels invasive, painfully earnest. Imagine asking a train full of strangers to raise their hands if they felt lonely today. Then imagine counting everyone who raised their hands, writing their names down, and introducing them all to each other. The priests are not in an indie rom-com. And so they drag the box of troubles to the fire and toss them into the flame. The troubles don’t get a lot of respect. They’re picked up by the handfuls and cavalierly tossed into the towering inferno as if they were horse shoes. If they miss, someone runs to catch them. Maybe they miss, too. It’s a ring-toss game of human heartache. And when they hit, the flame transforms our collective troubles into billowing smoke. Priests pull the tower logs down to form a path; and spread the smoldering embers of the troubles between them. Smokey cedars lined the flame-licked road and in my case, typhoon winds scattered flames and ash every way but predictably. I removed my socks and shoes and placed them in the mud around Japan’s only garbage can. I waited patiently as the line of 20 people moved through a small rope gate to a carpet of fir branches. As I approached the 14-foot path, a priest patted my back. A short squeeze of my shoulder, like a real bro, and I was off. There was no training and no reassurances. Certainly, there was anxiety, but I wasn’t given time to indulge it. I just walked. Walking on the ashes of your troubles is a little hot and a little scary, but you don’t burn. Nothing hurt as much as I thought it would. 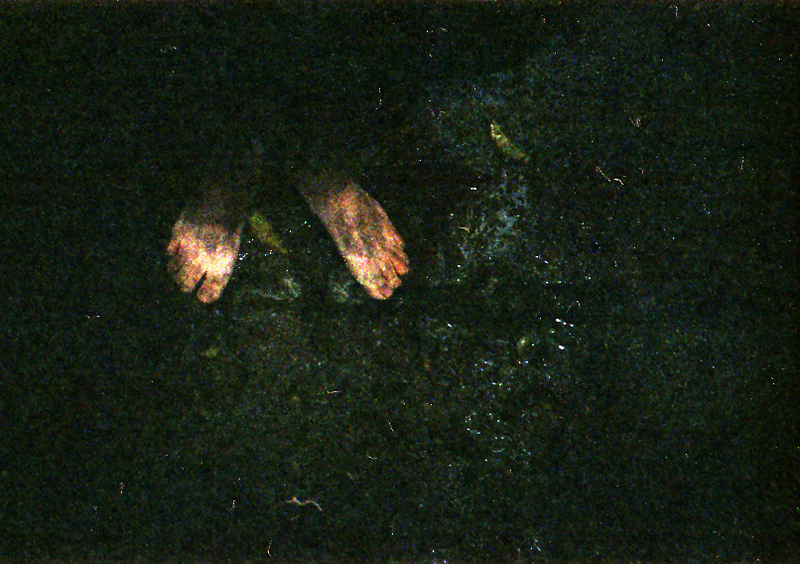 Seven strides later, my mud-and-ash-covered feet resting again on cool green firs, all I felt was lighter. The American guru-rental movement has had coal walking as its centerpiece since the ‘80s. Corporate team-building seminars hire some goofball with tribal tattoos to build a fire for new hires to walk on. It’s edgier than trust falls and salaried workers feel earthy after coming in contact with some urban primalist-for-hire, so everyone wins. But here, walking on fire isn’t about mysticism or mastering the next level of whatever sales-targeting strategy the management wants to stick you with. As the Chakra-illiterate might say, neither your feet nor wooden ash are good conductors. At an even pace, your flesh never contacts the ash long enough for the heat to transfer. The secret of walking on coals is the secret of thermodynamics. Fire walking still involves focusing your mind over your body. You have to conquer the fear of that first step. This is no small feat. But then the ashes aren’t even hot, despite the smoke and fire and hype, and you start to wonder how many things you have or haven’t done out of fear of imaginary disasters. It’s no big deal. Our fears, stripped of the power of meaning, are nothing but some priests’ game of horseshoes. It’s no big deal. It looks scary, but you can walk on it. Everything will be OK.
Maybe it will. Maybe it won’t. But my feet, at least, are absolutely fine. How Stuff Works: How do people walk on fire? This entry was posted in Shinto, Shrines, Thinking, Tradition, Uncategorized, Video, Zen and tagged dazaifu, fire walking, shinto, shrines. Bookmark the permalink. I think we were standing right near you during this. Great perspective on the ceremony, I really enjoy your writing. I also found the ceremony to be really affecting, and though your comment about horseshoes is fairly apt, I thought it was really touching that they made sure every last stick that fell eventually went into the flames, leaving no sadness unburned. Well worth getting out of bed to stand in the rain for. Ah yeah! Cool! Glad you enjoyed the post, and good insight. I agree it was totally worth the early morning commute – wish we had made it earlier, though!